ENA’s position statements are an assertion of the beliefs held, encouraged, and supported by ENA, and adopted in accordance with ENA's bylaws, policies, and procedures. Position statements are recommendations for a course of action or statement of beliefs that reflects ENA’s stance regarding an issue of importance to safe practice, safe care, and optimal patient outcomes. 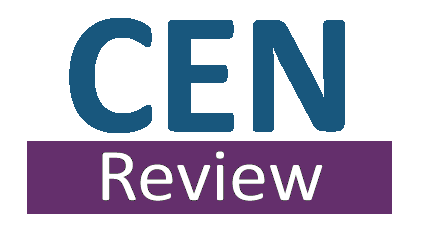 CEN Review course will prepare you for the Certified Emergency Nursing (CEN®) exam administered by the Board of Certification of Emergency Nursing (BCEN®). A 2-day course that uses a systematic approach to initial assessment, and empowers nurses with the knowledge, critical thinking skills, and hands-on training to provide expert care for trauma patients. Allows current TNCC verification card holders to spend more self-directed study time and less time in the classroom. Prepare on your own time, review, and test in class. A 2-day course that provides a pediatric assessment triangle and an early intervention approach to care for pediatric patients in the emergency care setting. CATN is an advanced course that goes beyond the primary survey to focus on critical thinking and clinical decision-making to enhance trauma care.